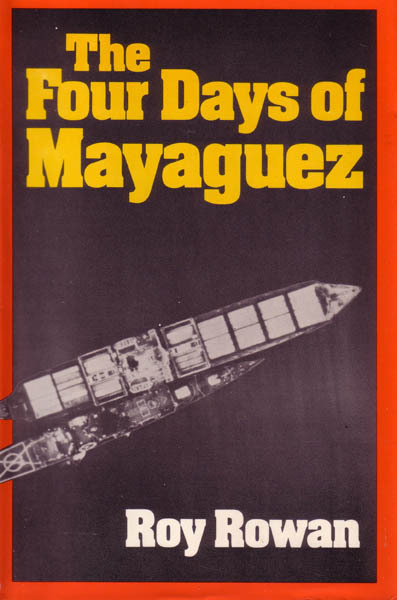 One of the most controversial and dramatic incidents in the post-Vietnam period was the retaking of the American cargo ship Mayaguez after it was seized by the revolutionary government forces of Cambodia. The whole truth of what happened during the capture, the attack, the recovery - as well as why President Ford made the decision he did, and the human stories of the crew members themselves - had not been told until then. Roy Rowan sailed aboard the Mayaguez after her recovery and conducted extensive (and in many cases exclusive) interviews with the captain and crew, and later with the President in the White House. Here, in a revealing and perhaps historic narrative, Roy Rowan details the diplomatic effort to obtain the release and tells why the Marines, the Air Force, and the Navy were ordered to attack. It is a compelling story of bold confrontation and heightening drama, of the courage and heroism of the captured crew and the Marines during those four tension-filled days.